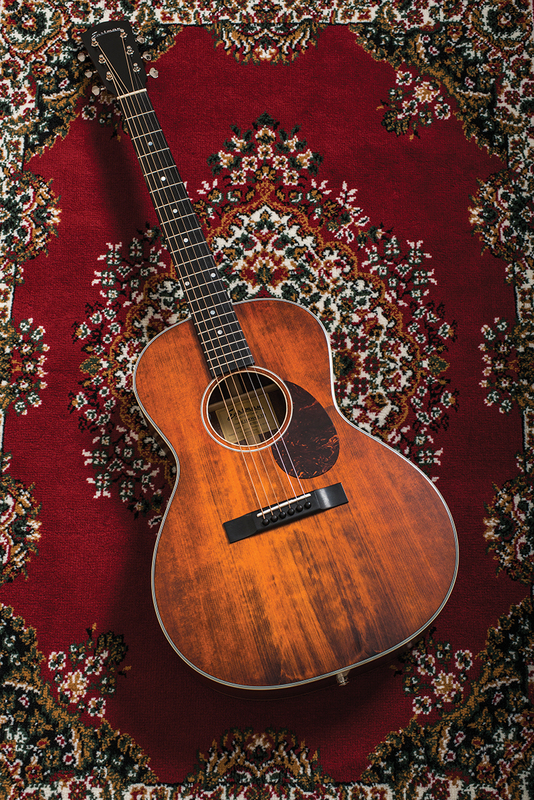 The idea for this limited-edition range of parlor guitars came from that most relatable of places – a desire to not let something that’s good go to waste. You see, Eastman usually uses Sitka spruce for its 00-sized guitars, but the musical instrument giant found that it had stocks of Adirondack spruce that weren’t large enough for dreadnoughts and grand auditorium models. Rather than discard the wood, the company instead decided to produce a limited run of 00 models using the Adirondack, and a total of 130 will be made for each model. The desire to promote sustainable use of wood carries on to the finish of these guitars – acoustic tops are graded for looks as well as tap tone and some perfectly good wood gets wasted when the grain is deemed too wonky or the colour is inconsistent. Obviously, this not exactly an environmentally sound approach, so rather than waste perfectly good Adirondack spruce, Eastman decided to stain the more cosmetically challenged tops. 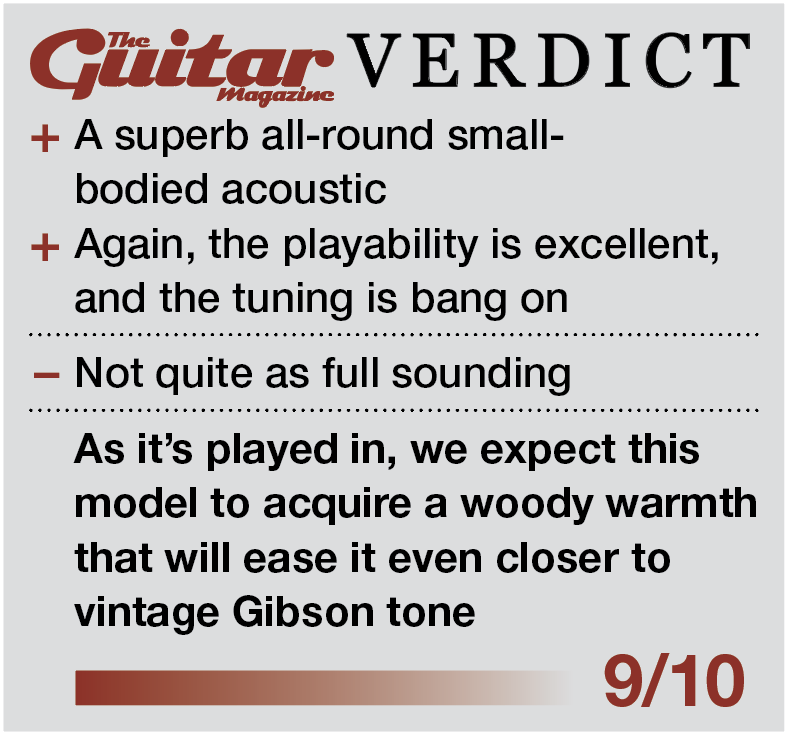 Consequently, two of our review guitars have a certain dustbowl chic, but one has made the cut for clear natural finish. 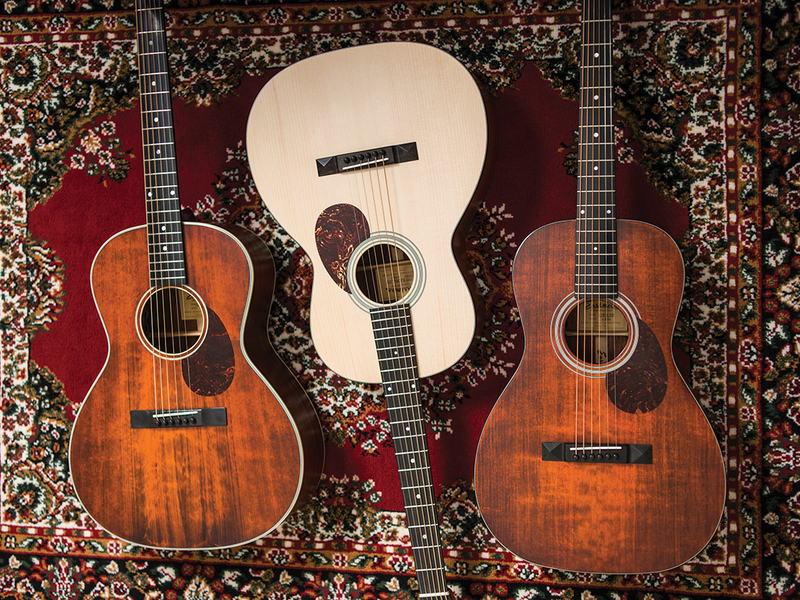 We’ve become accustomed to Eastman’s highly individual and genuinely convincing approach to ageing guitar finishes over the last couple of year, but these three guitars still raise our eyebrows when we first get them out of their boxes. Having reviewed the immaculately finished T184MX recently, the near flawless open-pored finish really shouldn’t have come as a surprise, but sub-£1,000 guitars getting treated to satin nitrocellulose, as well as bone nuts and compensated saddles, is still unexpected. All three bodies may appear identical in size and shape on initial inspection, but they’re actually subtly different. 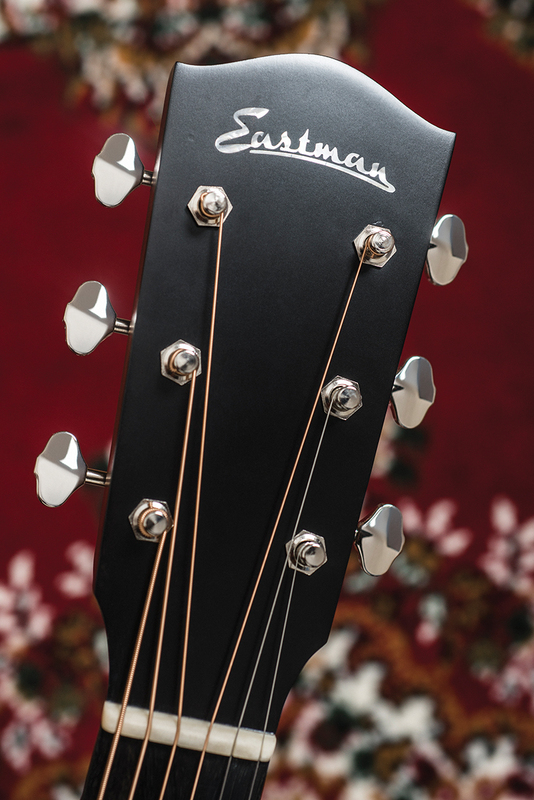 For instance the E100SS-LTD, which sports the solid headstock, and the natural-topped E100-LTD share the same outline, but the former has a deeper body. 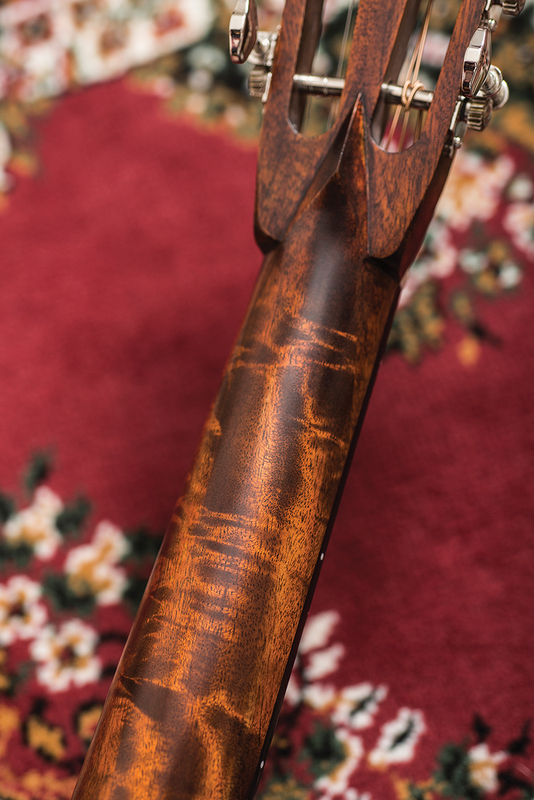 Additionally, both bouts of the E1P-LTD are slightly narrower, but its body is fractionally longer with a less pinched waist and it has the same depth as the E100SS-LTD.
Common features between the three guitars include solid mahogany backs and sides, scalloped bracing, open-geared Ping V93N tuners, ebony bridges, bridge pins and peghead overlays with inlayed pearl logos. This is very high-quality ebony, with a uniformly black appearance and very few grain lines. Since Eastman is primarily a violin manufacturer, the company buys ebony in such huge quantities that it can get it at very competitive prices and maintain lower retail prices. All three guitars come with a Fishman Sonitone pickup system. The battery pouch is mounted on the neck block and there’s a strap button/output jack on the tail block. 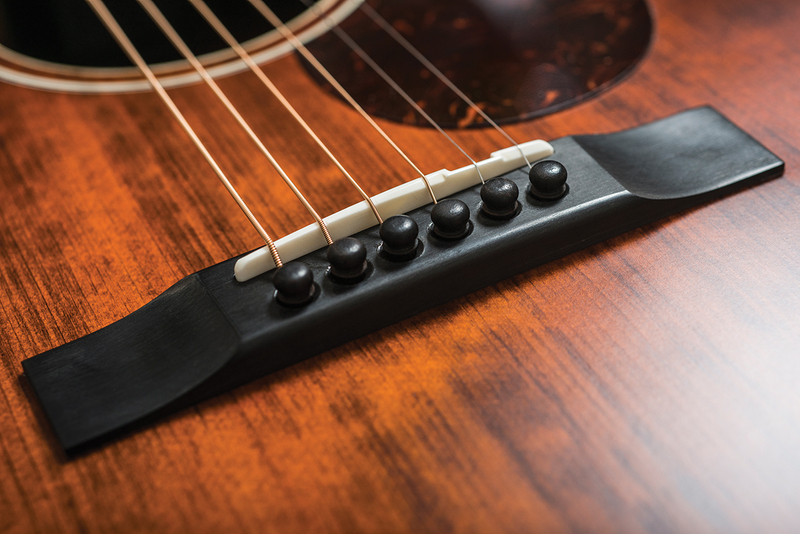 Just under the bass side of the soundhole you’ll find thumbwheel volume and tone controls. The first guitar of our trio that we get out of its box is the E1P-LTD, and instantly, its vividly figured mahogany neck sets this model apart. 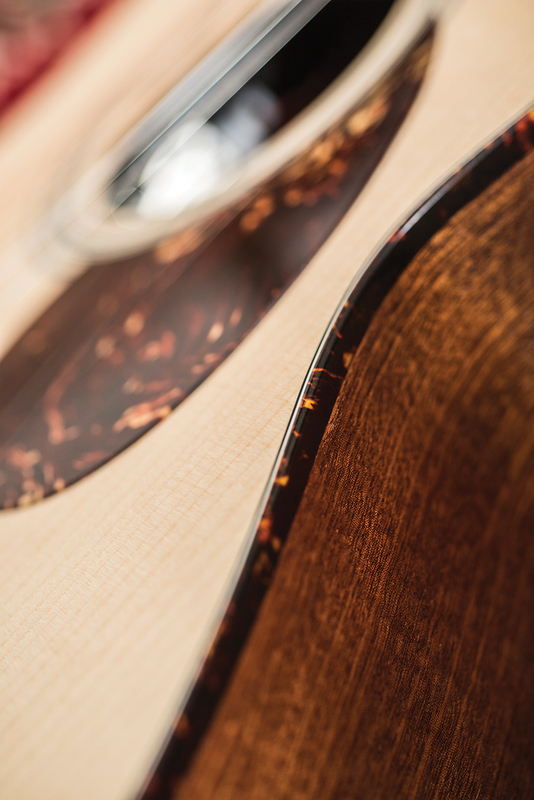 Peeking through the soundhole we see mahogany kerfing with rosewood side braces and finish spayed evenly all over the inside of the back – features that are common to all three guitars. The E100-LTD is the one guitar of our trio to receive a natural finish, but that’s not the only thing that stands out, as the back wood is more highly figured than the rest of the trio. Clearly this will vary from guitar to guitar, because every piece of wood is individual, but here the back plates are cut to create a chevron pattern at the lower bout and allow the curvy stripes to follow the shape of the waist. Like the E1P-LTD, its neck has a subtle V that quickly transitions to a deep D.
Finally, we come to the E100SS-LTD. This model is distinguished by its 14th fret neck join and a solid peghead, while the off-white binding and simplified rosette give it a crisper look than the other two. The soundhole binding appears to be maple, but we think matching off-white plastic would have been less trouble and might look better. The heel is solid rather than stacked, and although the headstock is scarf-jointed, the workmanship is such that the join lines are barely visible. Over the years we have become resigned to the near inevitability of black fretting fingers when playing ebony fingerboards on sub-£1,000 guitars. It’s the telltale sign that a manufacturer has used stain to disguise lesser quality timber, but all fingers come away clean from these guitars. Better still, the ebony fingerboards are buffed to such a smooth high gloss, the manufacturer had to confirm that the wood is actually bare rather than finished. The tuners and nut work are uniformly excellent and tuning up is a smooth and silent operation. These guitars are easy to tune, they play in tune and they stay in tune. 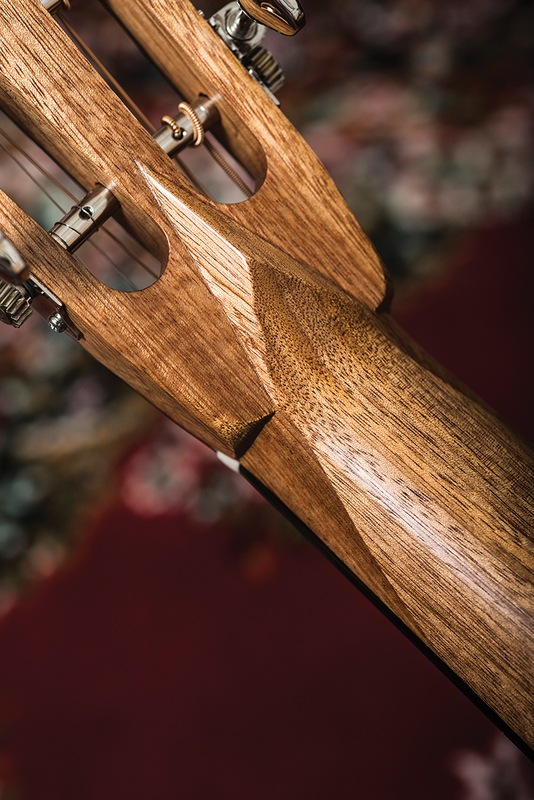 With the wood, hardware and electronics all identical, this is a rare opportunity to assess how neck joins and subtle differences in body size and shape influence tone. 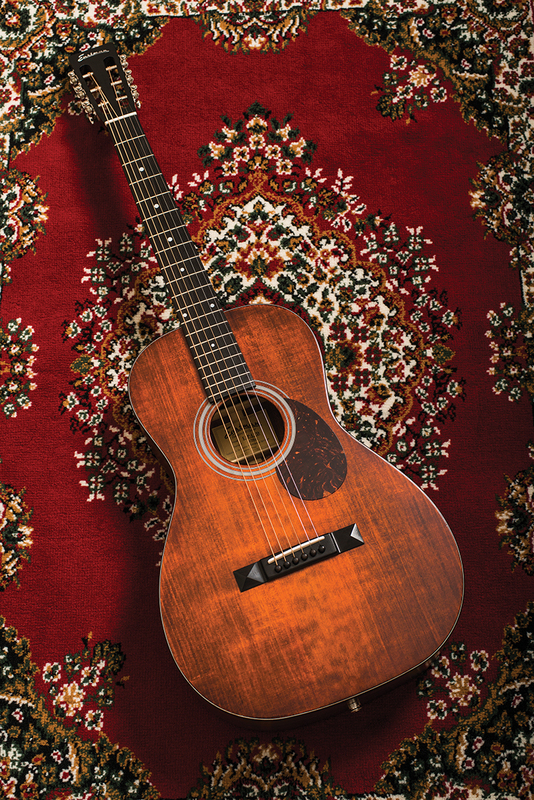 The E1P-LTD is very much a parlor guitar, albeit a very loud and punchy one. The bass isn’t deep, but what’s there is solid and defined. String-to-string balance is excellent and the guitar is quick to respond across its frequency range. A solid and very slightly boxy midrange combines with clear but refined treble to provide the E1P-LTD’s basic character. For blues, slide and ragtime picking its dry bark is absolutely ideal, but the directness and lack of harmonic colour make it less engaging for rhythm and more ethereal picking styles. Since it’s the closest to its sibling in spec, we next move onto the E100-LTD, but the difference is vast. 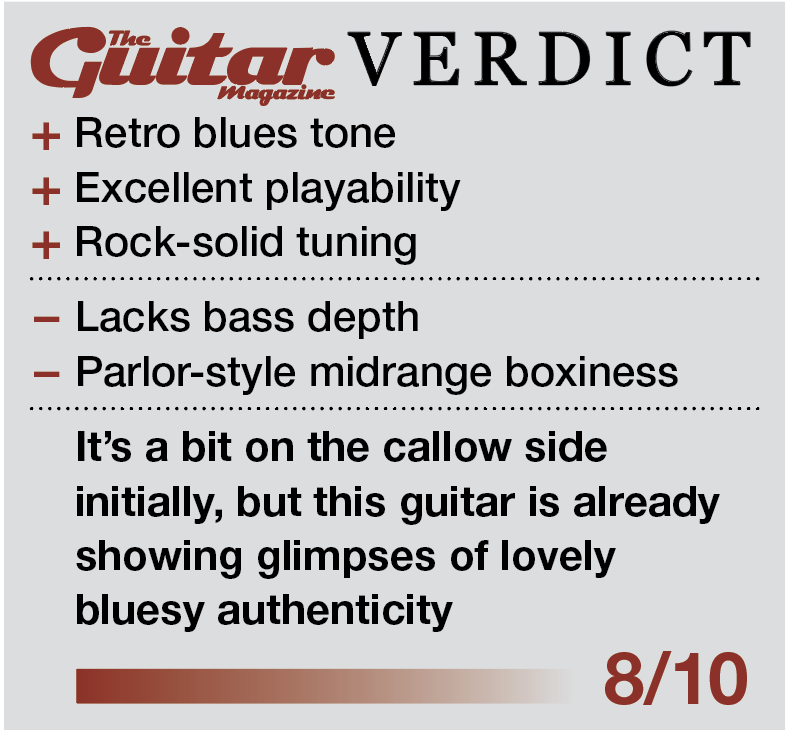 This time we’re greeted with a far fuller and deeper tone that is totally devoid of boxiness and way more complex. The treble is a bit softer and the transient response is a little slower, but both contribute to an easier playing experience. 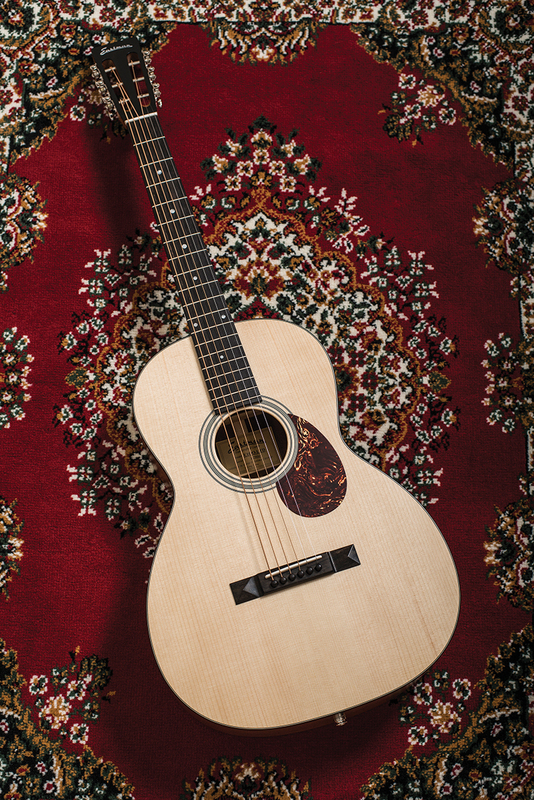 The E100-LTD covers the rootsy, bluesy fingerstyle stuff just as well, but you’re not limited to it. There’s sufficient depth to drop to D and C tunings without the body running out of puff and the plain strings carry enough weight to compete with open wound string drones. It’s equally adept at rhythm duties, effortlessly conjuring mid-70s Dylan and Steven Stills vibes with otherworldly sustain. With its 14th fret neck joint and rounded C neck profile, the E100SS-LTD feels and sounds rather different to the others. It actually incorporates elements of both, with some of the bright speediness of the E1P-LTD and the depth and fullness of the E100-LTD. Its easily the best for rhythm duties, but it’s no slouch for picking either. Like the others it has a distinct retro flavour, but we would hope for some extra woodiness as the spruce matures. 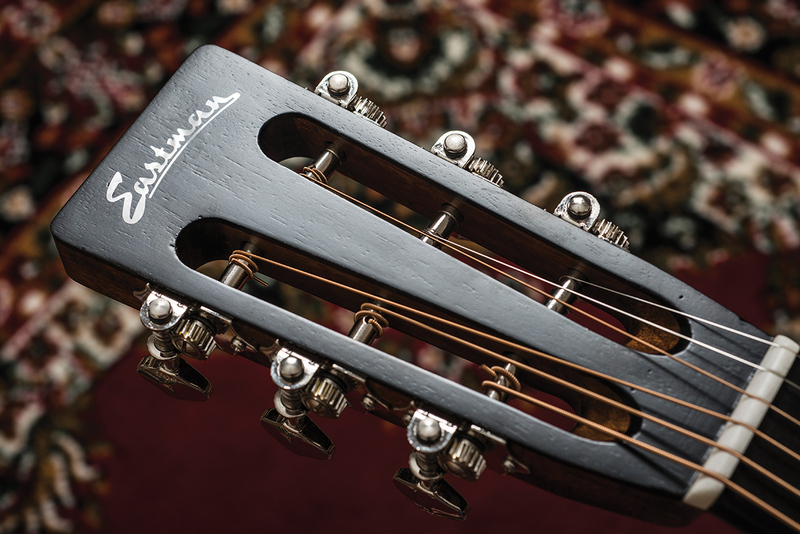 Whenever we see a Fishman pickup installed we tend to think, ‘Yeah, that’s going to do nicely’. 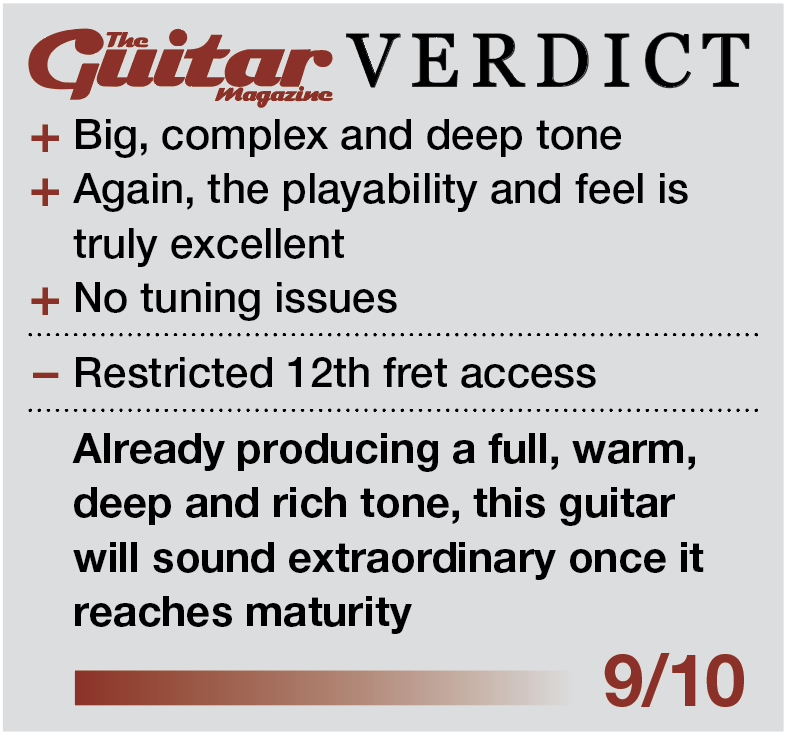 And it’s certainly the case here, with pickups capturing some of each guitar’s acoustic character to produce very playable, palatable sounds across the board. Such is the build and sound quality of these guitars, we wouldn’t have balked at the price if they were pure acoustics. The fact Eastman has spec’d such a decent one is a very welcome bonus. With only 65 of each of these limited edition models coming to Europe, our advice is don’t hang about to snag yourself one while you still can.